Push Ups Galore and More! Wow, what a week at The Rise. 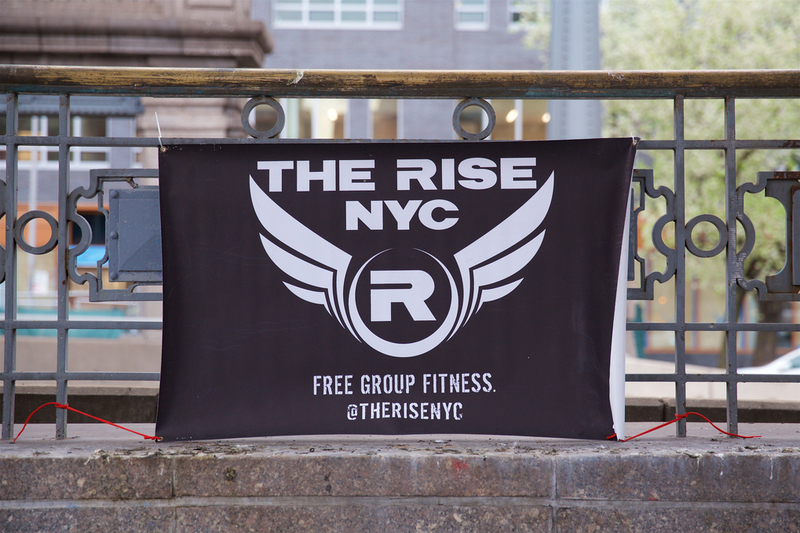 There were thousands of push ups (yes, you read that right), The Rise made its debut in Bryant Park, and we did a karaoke inspired workout on the Williamsburg Bridge. If you were at any or all of these workouts, you know how awesome last week was. If you didn’t make it last week, I’ve got the recap covered. Anthony and Darren powered through 1,000 push-ups! 72 people just showed up! Will next week be even more awesome? Will Darren and Anthony do more push ups? Will there be an abundance of high fives and encouragement? There’s only one way to find out – Just Show Up!